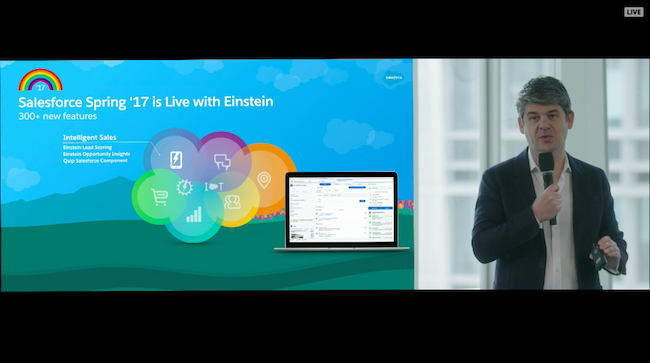 Earlier today, Salesforce Chairman and CEO Marc Benioff took the stage with special guests to share the company’s corporate vision and product strategy: FY18 the Year of Einstein. The hour-long broadcast was packed with information ranging from Salesforce’s growth, to our commitment to core values, to the latest on Einstein, Lightning and the Spring ‘17 release. CRM is the fastest growing enterprise software category according to Gartner research. Salesforce Einstein is now live for all customers. Introducing Einstein Vision: a set of powerful new APIs that allow developers of all skill levels to bring image recognition to CRM and build AI-powered apps fast. 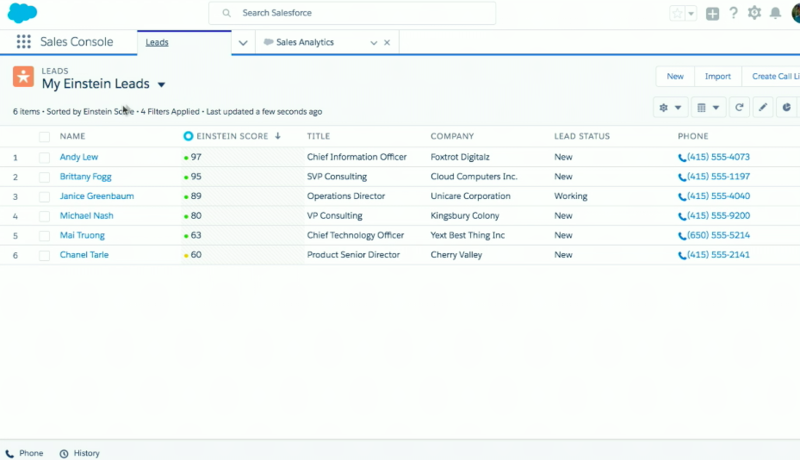 Salesforce Spring ‘17 release is live with Einstein. 300+ new features. 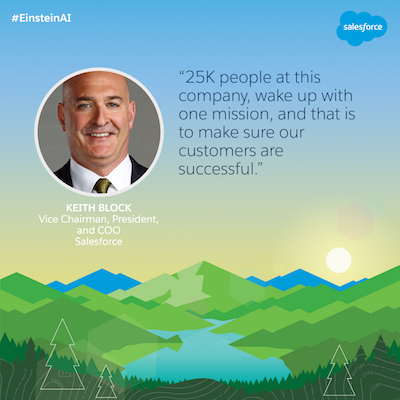 In a landmark global strategic partnership, IBM Watson, the leading AI platform for business, and Salesforce Einstein, AI that powers the world’s #1 CRM, will seamlessly connect to enable an entirely new level of intelligent customer engagement across sales, service, marketing, commerce and more. Welcome to our liveblog coverage of FY18 the Year of Einstein event! We kick off with some smooth sounds from LT Smooth! 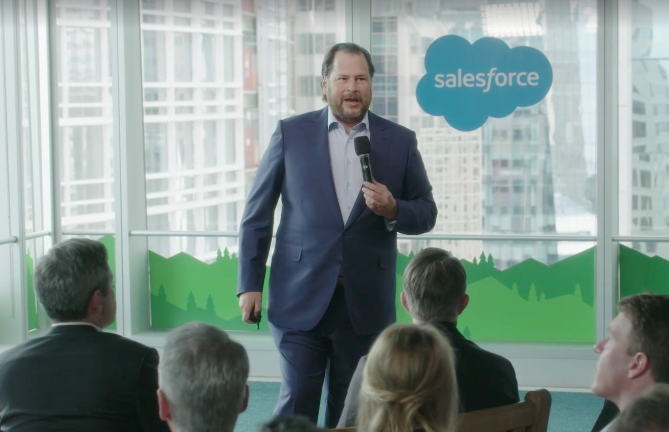 Standing in front of the upcoming Salesforce Tower, Chairman and CEO Marc Benioff takes the stage to thank viewers and to welcome customer trailblazers. He shares that Salesforce is the fastest growing top 5 enterprise software company. We’ve seen unprecedented growth at scale in our fiscal 2017 fourth quarter and full year results, culminating in FY17 revenue of 8.4B. Salesforce has also made Fortune’s 2017 list of World’s Most Admired Companies — 5 years in a row. What an amazing honor! Vice Chairman, President and COO Keith Block takes the stage to share news about our customers and their successes. He also shares that CRM is the fastest growing enterprise software category. “We are able to drive success for customers all over the world and we are executing at scale,” says Block. Co-Founder and CTO Parker Harris and Senior Director, Data Scientist Shubha Nabar share news about Einstein. Salesforce Einstein is now LIVE for all customers! 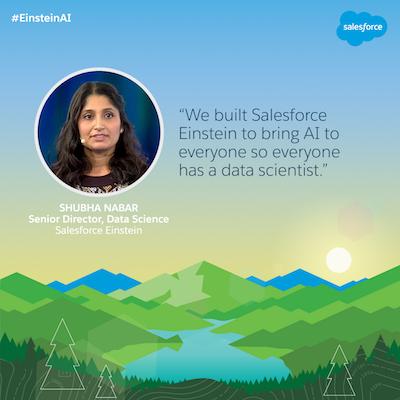 Einstein is powerful artificial intelligence built into the Salesforce platform. It earns from all your data, and delivers predictions and recommendations based on your unique business processes. 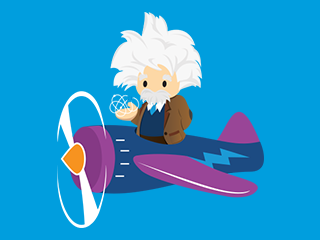 Salesforce Chief Scientist Richard Socher unveils our latest Einstein developments: Einstein Vision: empowering any developer to build AI-powered apps. Socher demonstrates how Coca-Cola is leveraging AI to run their business smarter. He shows us a Coca-Cola beverage cooler that pairs with an inventory app. Using deep learning to do object detection, Coca-Cola can identify everything in a cooler to check inventory instantly! President & Chief Product Officer Alex Dayon take the mic to discuss our Spring ‘17 release. “We want all our clouds to be integrated together. In a world powered by AI, signals are important,” says Dayon. With 300+ new features, the Spring ‘17 release is packed with innovation. To see more of what this release holds, check out the blog post here. 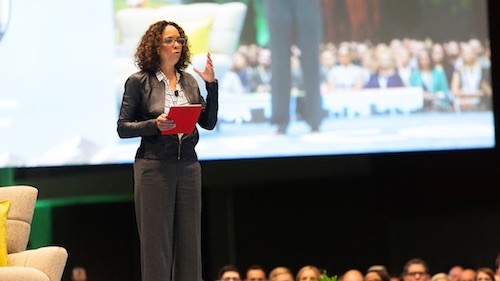 EVP, Product Marketing Stephanie Buscemi demonstrates how Salesforce helps the Amazon Web Services sales team close deals faster and scale as they grow. By using an intelligent customer success platform, AWS was able to go from lead to cash quickly. “The Salesforce platform has been incredibly important for us. We needed something that moved very quickly. 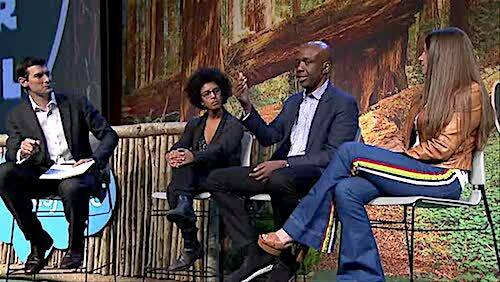 Salesforce has grown with us,” -- Ariel Kelman, CMO of Amazon Web Services. 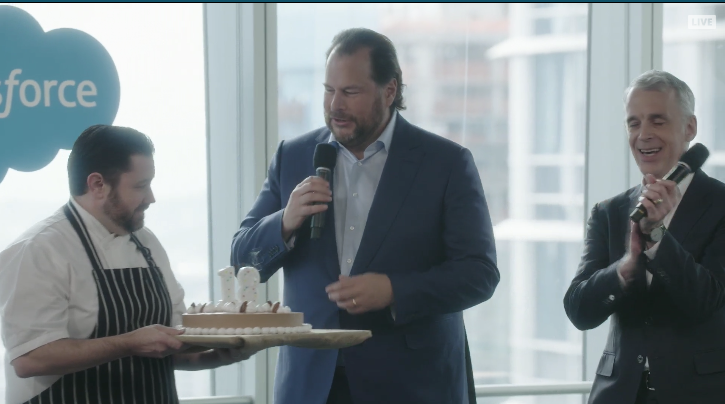 We close the broadcast with a two things: a birthday cake celebrating Salesforce’s 18th birthday and a quick shoutout from Ginni Rometty, Chairman, President and Chief Executive officer, IBM. Yesterday, Salesforce and IBM announced a strategic partnership that brings together AI powerhouses Watson and Salesforce Einstein. Thanks for joining us!